A fracture is a brake in continuity of a bone. 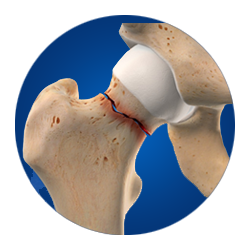 A bone may be completely fractured or partially fractured. Compound fracture -The skin is pierced by the bone or by a blow that breaks the skin at the time of injury. The bone may or may not be visible in the wound. Comminuted fracture – The bone shatters into three or more pieces. Trauma. A fall, a motor vehicle accident, or while sporting activity. Osteoporosis. It weakens the bones leading to fractures. Overuse. Repetitive motion has more force on bone resulting in stress fractures. These are common in athletes.